The Seniors Activities Committee began the New Year with another successful event. The brunch featured the fine food of Kitchen Kabaret, a singer who performed Motown music and musicians playing background music. 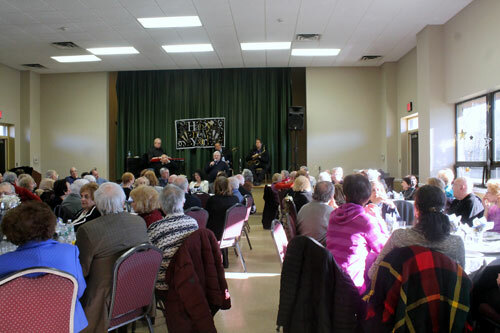 Other upcoming events now planned for 2015 include Dinner and Military Bridge on January 17, 2015, A Farewell to Arms Book Club on January 27, 2015, China Then and Now Museum on February 26, 2015, Vanya and Sonia and Masha and Spike Theater Party on March 8, 2015, Toning and Stretching Classes from March 10, 2015 to April 21, 2015 and Spring Session of Technology Workshops from March 23, 2015 to May 3, 2015. 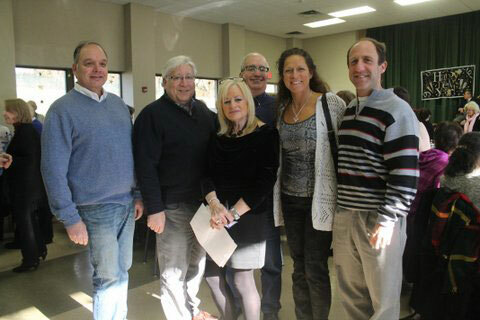 Board Approval – Mayor Koblenz and SAC Chair Natalie Mansbach shown with, from left to right, Trustee Gary Leventhal, Deputy Mayor Manny Zuckerman, Trustee Clara Pomerantz, and Trustee Brian Meyerson.